Fresh off of leading humanity to Earth, Edward James Olmos has now turned his attention to saving California from big oil who are funding a massive campaign of lies to weaken California's environmental and global warming laws. 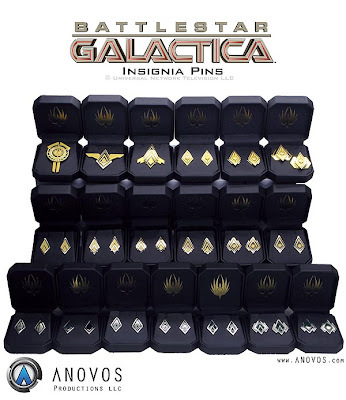 The time period to order wave one and wave two of BSG insignia pins from Anovos ends in 2 weeks. 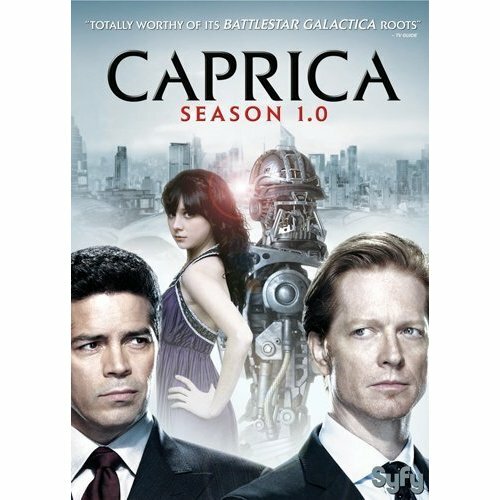 So, if you're planning on putting together a great BSG costume, act soon. Anavos has other BSG, and Star Trek TOS and XI items in the works, so check out their site for more. Tonight on Animal Planet they are airing the two hour season finale of Whale Wars. All day today they have been showing every episode of this season. Check it out. Univesal Studios announced recently that Caprica season 1.0 is coming out on DVD on October 5th 2010. Yep that is Edward James Olmos talking to Joaquin Phoenix (narrating) in the trailer to I'm Still Here. That's you, drops of water. And you're on top of the mountain of success. But one day you start sliding down the mountain and you think wait a minute, "I'm a mountain top water drop, I don't belong in this valley, this river, this little dark ocean with all these drops of water." Then one day it gets hot, and you slowly evaporate into air, way up higher than any mountain top. All the way to the heavens. Then you understand that it was at your lowest that you were closest to God. Life's a journey that goes round and round and the end is closest to the beginning. So if it's change you need, relish the journey. Sometimes I really miss these people.